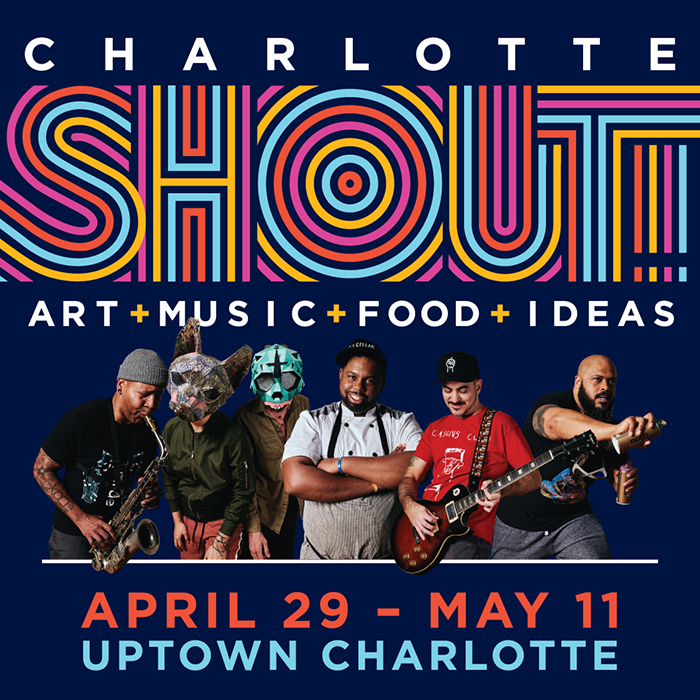 Charlotte SHOUT!, a 13-day festival featuring art, music, food and ideas, will take place from April 29 through May 11 throughout Uptown. 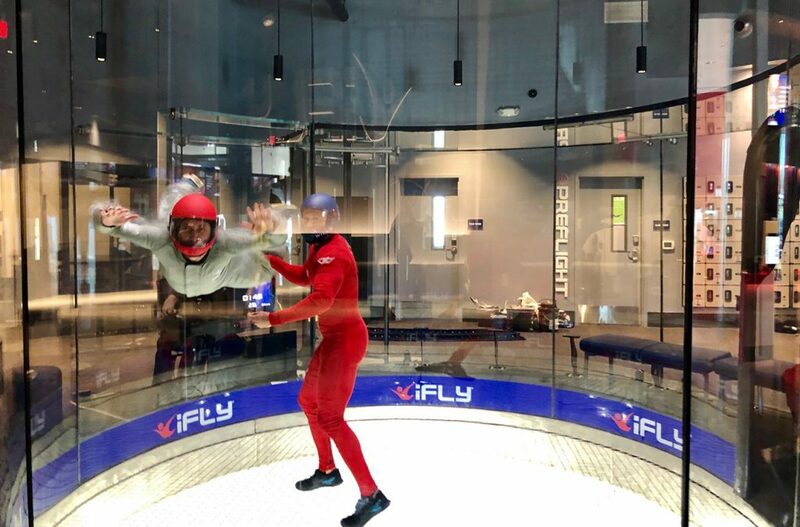 Inspired by citywide festivals like Austin City Limits and Vivid Sydney, leaders in Charlotte are looking to create a signature Charlotte event. This iteration of the Charlotte SHOUT! 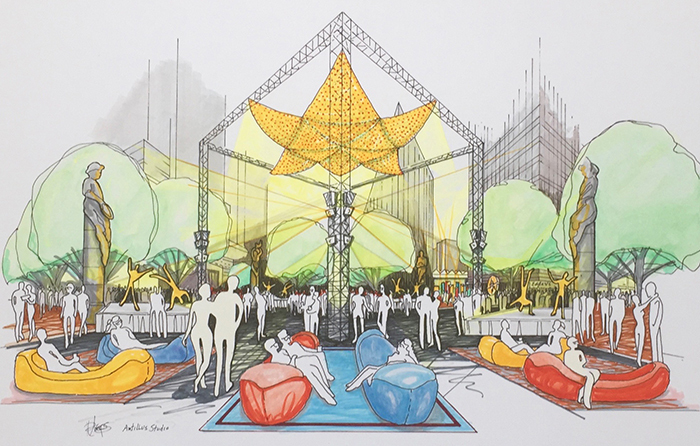 festival (a version happened back in 2003) features more than 75 concerts, installations and performances during a two-week period in Uptown’s public space and theaters. While most attractions are free, tickets are also on sale for the larger acts. Music: Headliners include GRAMMY winner Anthony Hamilton, indie pop act Bleachers and rock band Umphrey’s McGee. 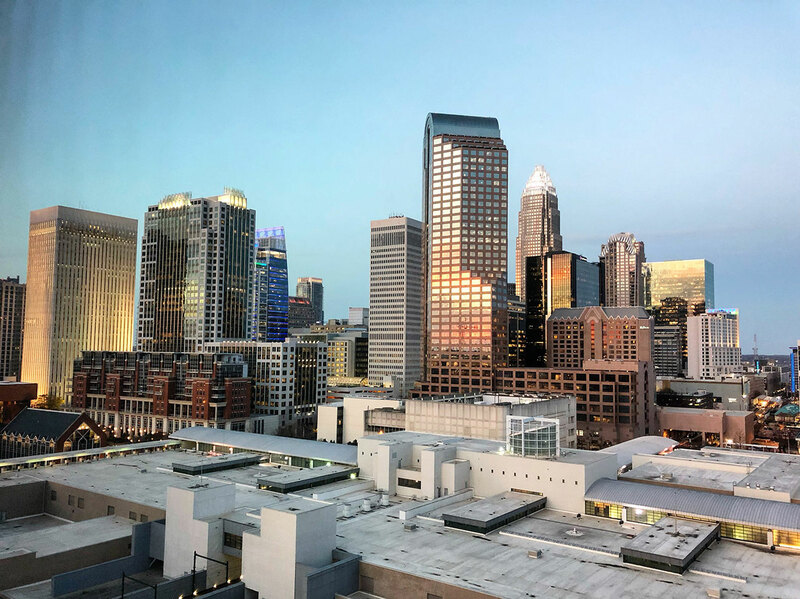 Speakers: Leaders heading into Charlotte for the festival include Radha Agrawal, CEO and Chief Community Architect of Daybreaker; Kai Kight, a violinist and keynote speaker; and Rohit Bhargava, founder of the Non-Obvious Company. Art: Cool installations coming from outside the city include giant bunnies on The Green and 30 lighted seesaws at the Levine Center for the Arts that make light and sound as they’re used. We’ll keep you posted as programming is announced and it gets closer to the start of Charlotte SHOUT!